As well as recaps, I’m thinking of starting a ‘Top 5’ section on here. … I just kept thinking of so many that I have enjoyed ^^” and sequels don’t count, they are part of the same drama… right? It Started With A Kiss and They Kiss Again! ISWAK and TKA is about Xiang Qin (Ariel Lin) whose house falls down and she and her father are taken in by a former family friend. Everything is perfect, the family friend is lovely, the mother is absolutely hilarious, but there is a snag. Zhi Shu (Joe Cheng). Xiang Qin is strong willed, however, her intelligence is lacking. While she is in Class F, Zhi Shu is in Class A, and scores perfect marks in every test. Xiang Qin has been in love with Zhi Shu and finally confesses at school, however Zhi Shu hates ‘stupid’ girls. You know where this is going… and it is wonderful. Vampire Prosecutor and Vampire Prosecutor 2! Min TaeYeon (Yeon JungHoon) is a vampire,however, instead of giving in to his nightly inhibitions, TaeYeon becomes a ‘prosecutor’. As well as solving murders (using his very cool ability to see glimpses of the actual crime happening when he tastes the blood of the victim), he is on a mission of his own. He wants to find the vampire who created him and the whereabouts of his younger sister. The members of his team are absolutely adorable, and of course there is a slight love interest between our main vampire hottie and Yoo JungIn (Lee YoungAh). However, if you are looking for love, you will be sorely disappointed as it is barely there. A member of the team, Det. Hwang SooBum (Lee Won Jong) knows he is a vampire and the things he comes out with are hilarious! The effects are very slick and the visuals are appealing. I do however, prefer the way we see him ingest the blood to see the glimpses of the past in the first season. This drama is emotional and can be rather dark, especially towards the end of season 2. This drama is one of my all time favourites and I will never get over how there is no season 3 T.T I need it in my life! So many questions going unanswered! I have not seen the Taiwanese version and frankly I don’t want to. This Korean version is absolute perfection. At first I was a little thrown of by the quirkiness of it, but soon came to absolutely adore the way it is shot, the acting and effects. 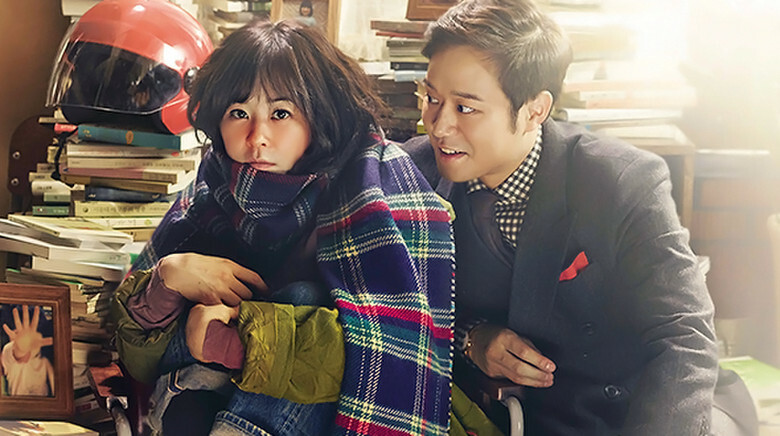 Kim MiYoung (Jang NaRa) and Lee Gun (Jang Hyuk) have an accidental one night stand. They MiYoung finds out that she is pregnant and the pair end up getting married, due to pressure from MiYoung’s mother and Gun’s grandmother. The pair have a strained relationship as Gun wants to divorce her as soon as the baby is born. However, through spending more time together feelings of love appear. In true drama style this is when the tragedy hits! And just one is not good enough for this drama, it hits us twice with very upsetting events. We then see how the pair try to work things out. A funny romantic comedy with ghosts (and some occasional angst, it’s still a kdrama haha :p). Tae GongShil (Gong Hyo Jin) is a young woman with the ability to see ghosts after suffering an accident and being in a coma. She meets Joo JoongWon (So JiSub) by accident and finds out that touching him causes the ghosts to go away, much to JoongWon’s distaste at being touched. This drama is funny, Gong HyoJin and So JiSub are very good leads and the chemistry is great. The way it is shot is visually pleasing, and the soundstrack is beautiful! I also really love the fashion. Whoever wrote this drama is a genius! Cha HongDo (Choi KangHee) has a strong anxiety of being around people, she barely leaves her house without covering her face. This is because when she is nervous, her whole face goes bright red. HongDo has a chance meeting with Ko YiSuk (Chun JungMyung) a once highly esteemed psychiatrist. He vows to make her better so that she can share her feelings for the second male lead Detective Jang DooSoo (Lee Jae Yoon). The main characters are absolutely adorable and so real. I adored every single main character, even if sometimes they were annoying *cough* DooSoo *cough*… but they were all endearing and the fact that they were open and spoke their minds was such a glorious new thing to see. Most of the dramas I watch are fraught with misunderstandings because no one ever talks to each other!! The romance is absolutely adorable and I got on board pretty much straight away and definitely shipped the two side characters, DooSoo and Ko SeRo (Ahn SoHee), YiSuk’s younger sister. This Taiwanese drama was adorable, fun and quirky. Qi Yi (Aaron Yan) and Chen Liang Liang (Puff Gao) end up living together. Liang Liang then finds out that Qi Yi has also bought the company she works out. With his new rule of no office dating, it falls to Liang Liang to fight his new changes. This drama was fun to watch, the romance (all of them) was very sweet. The characters and acting were great.